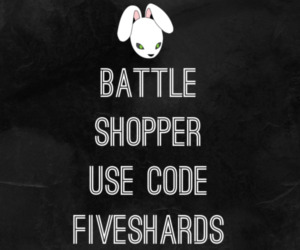 Home » Shard Cup » FiveShards presents the Wild Cup, Season 5 sponsored by The Dragonborn! (July 8th, 9am PDT) Updated! FiveShards presents the Wild Cup, Season 5 sponsored by The Dragonborn! (July 8th, 9am PDT) Updated! We are pleased to share with you the details of the FiveShards Wild Cup, Season 5 as presented by the Dragonborn Guild! You can find all of Shard Cup tournament dates here. As many of you know, our plan for the Wild Cup is for it to be the final cup of the regular season and, as such, offer a unique format. Thanks to HexEnt, the format for this cup is CHAPTER WARS! To have a Chapter Wars legal deck, you must construct a deck that only contains cards and a champion from a single chapter. Chapter 1 is set 1 and 2. Chapter 2 is set 3 and 4. Chapter 3 is set 5 and 6. Chapter 4 is set 7 (and later 8). If you build a chapter legal deck in the client, it will give you a tag that says “Chapter” in the details section. Note: Right now, this only shows up for Chapter 1 and 2 decks, Chapter 3 will be in the client soon. The tournament will be under the “Special” tab of the battlegrounds within the client! On July 8th, 9:00am PDT (17:00 CET), the greatest Entrathian shard-slingers will compete for a chance to take home the coveted Wild Cup; this is the fifth cup in the fourth season of the FiveShards Shard Cup Series. Which chapter is the strongest? You will decide! The FiveShards account will send out prizes after the tournament concludes. We will be using the game’s replay feature to showcase matches throughout the tournament. 1. What gems are allowed? All gems that are currently allowed by the client for immortal format. Yes, you can use immortal gems for Chapters 2 and 3. 2. What Champions are allowed? Your champion must be from the same chapter as the rest of your deck. 3. Will Set 7 be legal? If set 7 is out before the tournament occurs, it will be legal. The architecture for identify chapter legal decks will be universal going forward. Michael Allen is a competitive HexTCG player, co-host of the 2 Turns Ahead podcast, and founder and moderator of the Hex Subreddit.